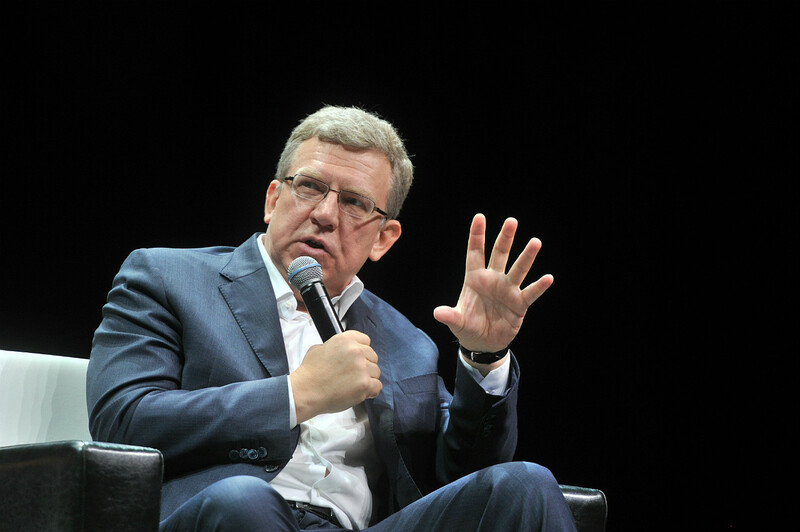 Kudrin: “The steps that the country, the government and the president should take are unconventional and quite serious.” Photo: Chairman of the Board of the Center for Strategic Research Aleksey Kudrin. Doubling Russia's GDP by 2035 means the economy must grow at a rate well above the global average, said Alexei Kudrin, the author of a new economic program. This will be a big challenge. For the past two years, Russia's GDP dynamic was negative due to the economic crisis. Russia has the potential to double GDP by 2035, said former Finance Minister Alexei Kudrin who is now head of a leading Russian think tank, the Center for Strategic Research (CSR). Kudrin is the man behind a new economic program prepared for President Vladimir Putin, and he said that in order to reach the GDP goal, serious reforms must be implemented that will fundamentally change the Russian economy's structure. “The Russian economy now grapples with a similar situation as the Soviet Union during the years of stagnation in the 1970s,” said Kudrin at the Gaidar Economic Forum in Moscow on Jan. 13. The current economic crisis and the devaluation of the ruble in 2014 led to a 3 percent drop in GDP in 2015, with a 0.5 percent drop expected in 2016, according to the Russian Finance Ministry. This situation can be corrected, said Kudrin, but it's necessary to implement those structural reforms that the government has been talking about for years but which were never realized. “The steps that the country, the government and the president should take are unconventional and quite serious,” said Kudrin, adding that structural reforms should aim to solve issues related to the lack of investment, weak access to world financial markets, technological backwardness, low productivity, and poor quality of public administration. Kudrin’s colleagues at CSR — the economists Pavel Trunin and Yevsei Gurvich — said that in the medium term Russia’s GDP may rise by 2 to 2.5 percent a year, and that by 2025–2030 this figure might reach 4 to 4.4 percent, reported (in Russian) RBC. Doubling GDP over 19 years “is not such an ambitious goal,“ the economists concluded. The Russian economy is expected to start growing this year, and Moody's forecasts that after two years of recession Russia will show positive GDP growth of 1 percent in 2017. The challenge for the Russian economy is not necessarily how to resuscitate the economy, but to ensure that after a short phase of growth "it does not slip back into stagnation," said Ksenia Yudaeva, first deputy head of the Russian Central Bank, during a Gaidar Forum panel that discussed a report by the World Bank. Structural reforms will help achieve that goal, she added. Russia's negative GDP trajectory of the past two years owes directly to the drop in prices for raw materials. On the other hand, however, this negative dynamic stimulates the development of alternative ways of increasing economic growth, said Sergei Khestanov, a macroeconomics adviser to the general director of Otkrytie Broker. Growth may be driven by a diversification of the economy, the removal of administrative barriers and better protection of property rights, which are envisaged in the concept of Kudrin's proposed structural reforms. “These factors do not guarantee rapid growth, but if successfully implemented they will make growth far more stable,“ Khestanov said. The target goal set by Kudrin and the CSR is feasible provided that the current fiscal and monetary policies of the Russian government and the Central Bank remain on course, said Timur Nigmatullin, an analyst with the Finam group of companies. “The middle income trap pushes up inflation and this is the main problem that the Russian economy came up against even before sanctions and falling oil prices,“ said Nigmatullin, adding that to avoid this trap the Russian Central Bank should continue to keep inflation at no more than 4 percent.